← High Beta Angle Time Again! The term “unbelievable” simply doesn’t even do it justice. This video was released this evening. At the time of the launch this afternoon, I had other issues. I had set an alarm on my phone for two minutes before launch. It started going off (softly) in my pocket while I had two people in my office working on something with me. 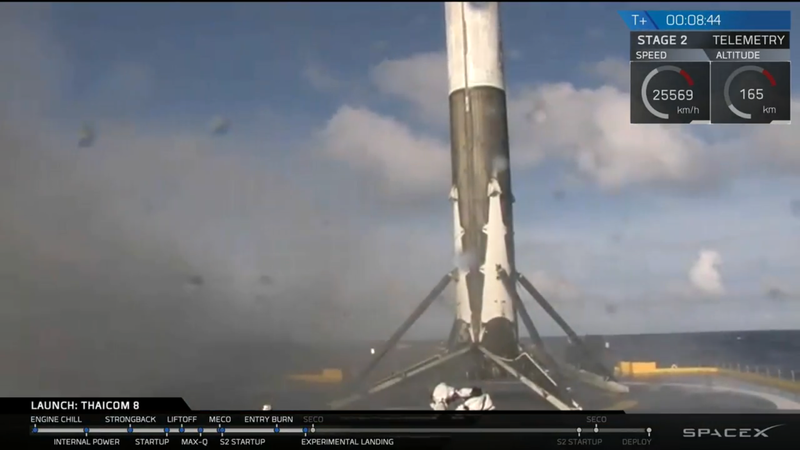 I don’t know that they necessarily knew why I was so anxious to get things wrapped up and hustle them out, but by the time I was able to get my phone out and pull up the live video feed (again, live video from a rocket out over the mid-Atlantic, 100+ miles up, accelerating past 10,000+ mph, sent to the phone in my pocket, which shows hi-def video – the future can be fantastic some times!) 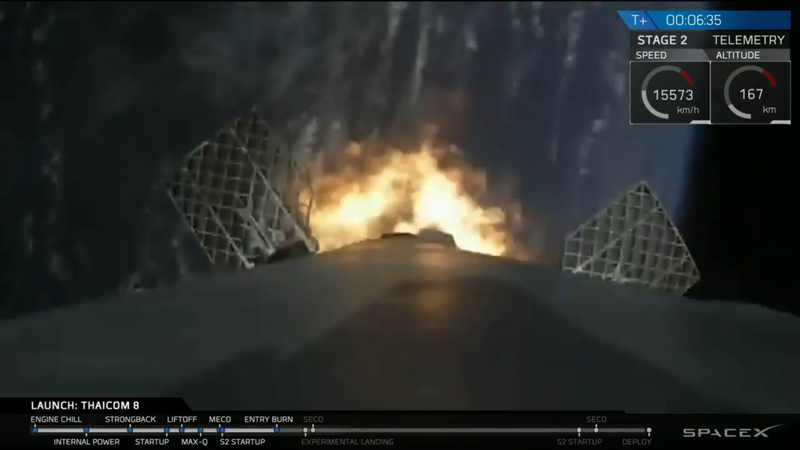 they were were already past the point where the first stage had cut off, dropped away, and the second stage was well on its way to successfully putting yet another telecommunications satellite into a geosynchronous transfer orbit. 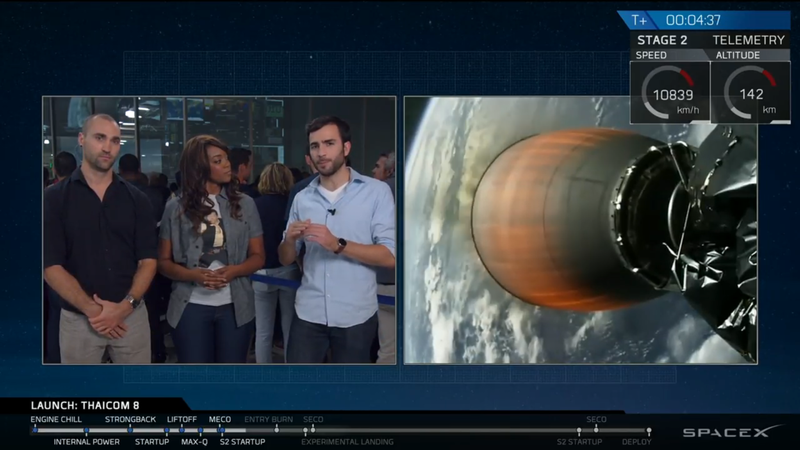 Everything’s nominal, the second stage and the payload are on their way to GTO. 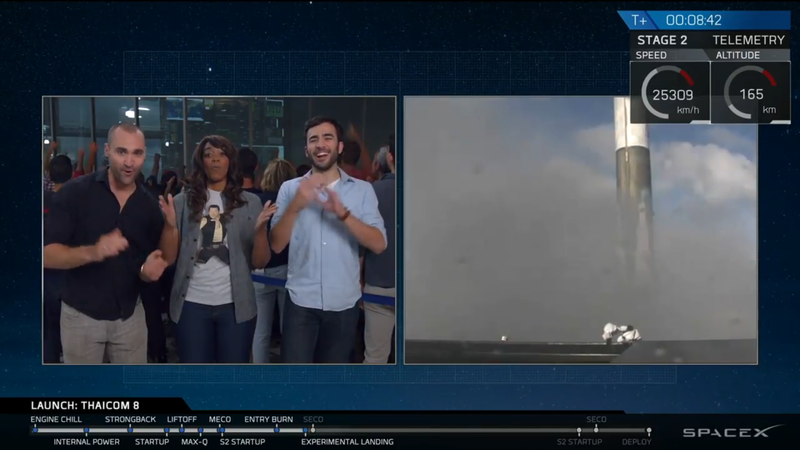 Everyone wants to keep reminding us (correctly) that the primary, number one, never-lose-sight-of-it goal of the launch is to put that payload into orbit and make the paying customers very, very happy. Suddenly this flashes up. 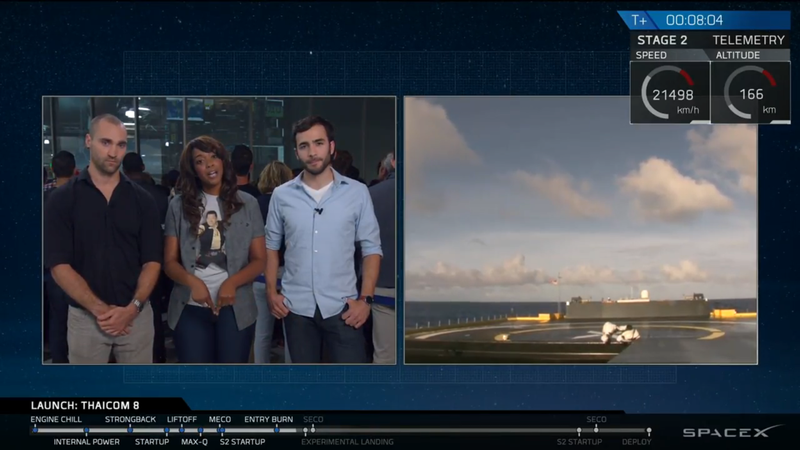 This is the first time I had heard anything about a new view being available on this launch. 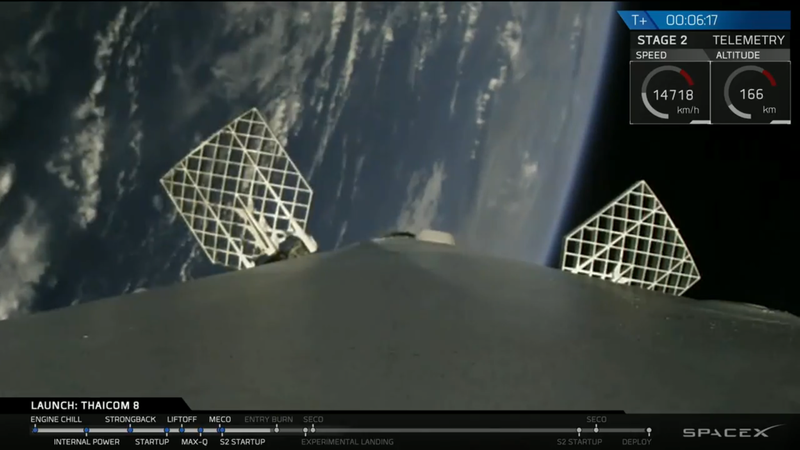 This is from the top of that first stage, looking down at the Earth as it starts to re-enter the atmosphere. 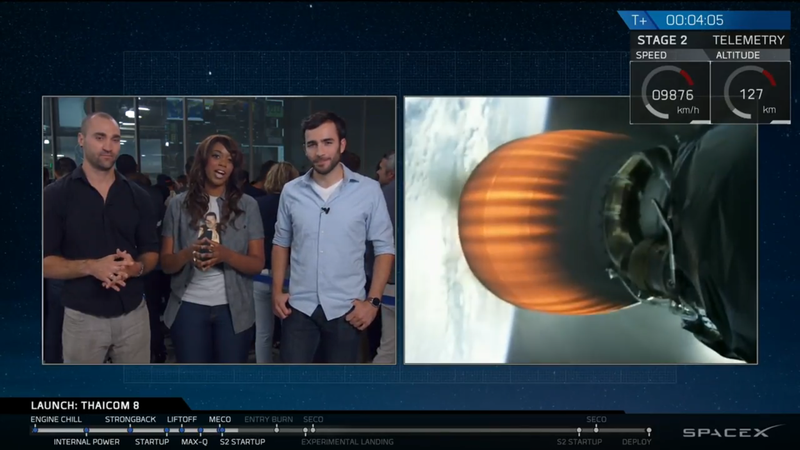 The re-entry burn starts to slow the first stage down and drop it down toward the Atlantic Ocean. We’re going to need new superlatives, we’re wearing out the old ones. About six seconds later, in the course of about eight seconds, it’s done. For better or for worse, triumph or disaster, the robots are in control here. I’m holding my breath and my heart is racing. And she’s down and safe. You might have noticed that this is something I’m pretty passionate about. Furthermore, while I might the Director of Finance and wearing a tie and being “upper management,” I have plenty of potential to go into full hootin’ and hollerin’, screaming maniac, dancing in the hallways mode. This might not be completely appropriate. So instead I sit there and hold it in, adrenaline pumping, quiet as a mouse, but with the celebration and joy building up pressure inside of me like an out of control water heater with a busted pressure relief valve. I might have pulled something. 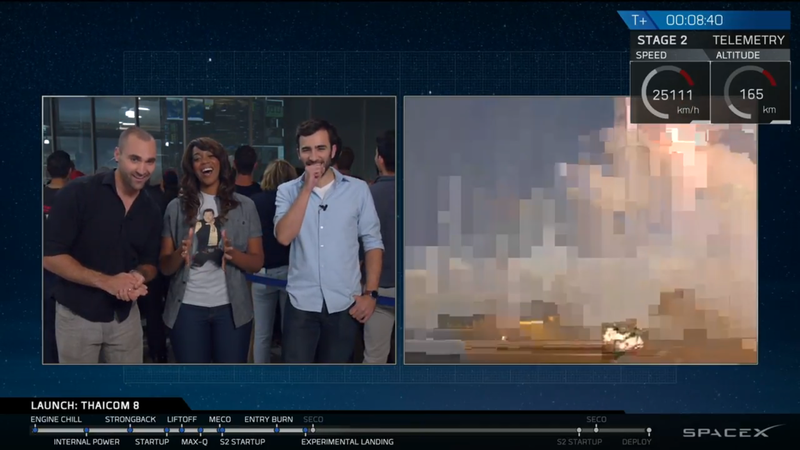 Congratulations, SpaceX! 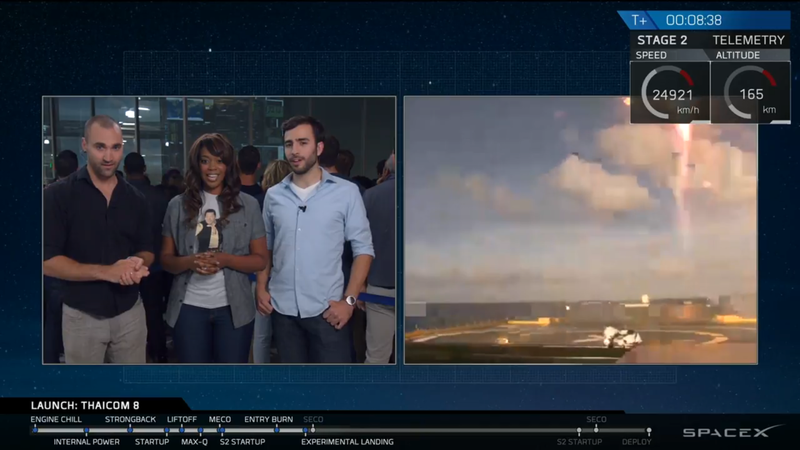 I’m looking forward to seeing you taking people to orbit in a year and to Mars in ten years. If not less. Maybe you need to let your colleagues in on your secret. Are they the type who might take an interest, if only they knew?